Does Nest Work With Alexa? Yes, Nest Thermostats, Nest Cameras & Nest Doorbells All Work With Alexa. Nest Thermostats, Nest Cameras, and Nest Hello Doorbells work with Amazon Alexa. With Amazon Alexa you can control your Nest devices with your voice. With the Nest Thermostat and Alexa you can turn up or down the heat using your voice, change from heating and cooling modes and ask what temperature the thermostat is currently set too. We teach you all of the nest devices that work with Alexa and how to connect your nest to Alexa. Amazon Alexa is taking the world by storm, everyday more “skills” are added to Amazon Alexa to give your smart home even more functionality and usefulness. Using Nest with Alexa voice commands are among some of the most useful voice commands for Amazon Alexa because it allows you to control your smart home with your voice. All of the Amazon Alexa Echo Devices in the Echo lineup work with the nest thermostat, nest cameras and nest doorbells. Using your Alexa with your Nest devices will allow you to unlock additional functionality with your voice and enhance your smart home user experience. What Nest Devices Work With Alexa? Below we have the complete list of Nest devices that work with Alexa and what you can do with them. Nest Thermostat Works With Alexa - The Nest (Generation 3 & Generation 2) are Compatible with all Amazon Alexa Echo Devices. The Nest Smart Learning thermostat allows you to control your thermostat with your phone using the Nest App. Or you can control your nest thermostat with Alexa voice commands with an Echo Device like the Echo Dot or Echo Show. The nest thermostat generation 3 is the top of the line nest thermostat with a full color display and packed with smart features to help you save energy, with luxury and comfort in mind. Nest Thermostat Generation E Works With Alexa - Compatible with all Amazon Alexa Echo Devices. The Nest thermostat E has most of the same features as the Nest and allows you to control your smart thermostat with your phone using the Nest App. Or you can control your nest thermostat with Alexa voice commands with an Echo Device like the Echo Dot or Echo Show. The Nest Generation E is a less expensive version of the Nest Thermostat that is mostly plastic vs polished stainless steel and glass like the more expensive nest generation 3 thermostat. 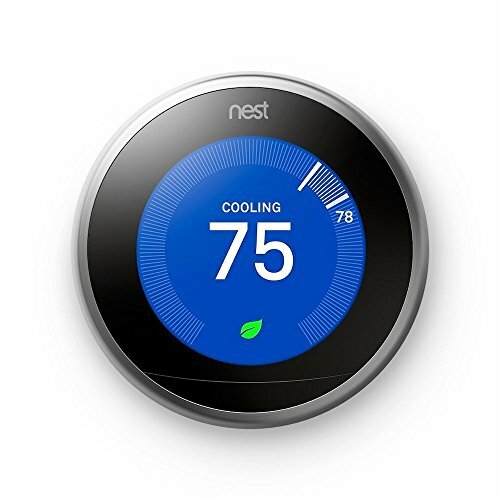 The Nest Generation E thermostat works with fewer heating systems that the standard Nest Thermostat. Nest Cam Outdoor Works With Alexa - The Nest Cam Outdoor is compatible with Amazon Alexa Echo Devices with a screen like the Echo Show & Echo Spot. The Nest Cam Outdoor is a more rugged version of the Nest Camera designed to be placed outdoors. The Nest Cam Outdoor is designed to be plugged into an outdoor outlet and secured to the side of your house to be used as security camera. The Nest Cam Outdoor will allow you to stream live video to your phone or record the footage for later viewing. With the Echo Show and the Nest Outdoor Camera you can pull up the live video footage on your the Echo Show’s 10” viewing screen. Nest Cam IQ Indoor Works With Alexa- Compatible with Amazon Alexa Devices with a screen like the Echo Show & Echo Spot. The nest cam IQ indoor has upgraded sensors and is designed to be used indoors. It also has smart features like facial recognition that can be enabled on the camera. Nest Cam IQ Outdoors Works With Alexa - Compatible with Amazon Alexa Echo Devices with a screen like the Echo Show & Echo Spot. The nest cam IQ is the top of the line nest camera. It offers the highest resolution in the lineup, and is made to weather the elements. The nest cam IQ outdoors features HD resolution with a 4K sensor and smart facial recognition technology. Nest Hello Smart Doorbell Works With Alexa - Compatible with Amazon Alexa Echo Devices with a screen like the Echo Show & Echo Spot. The Echo Show & Echo Spot will display a live feed of the nest hello doorbell on their screens but it does not have the capability to chime like a doorbell on the Echo Show or Echo Spot. However you’re built in doorbell chime and notifications on your phone will still alert you when someone is at your front door and you can pull up the live video screen on the large screen of the amazon echo. 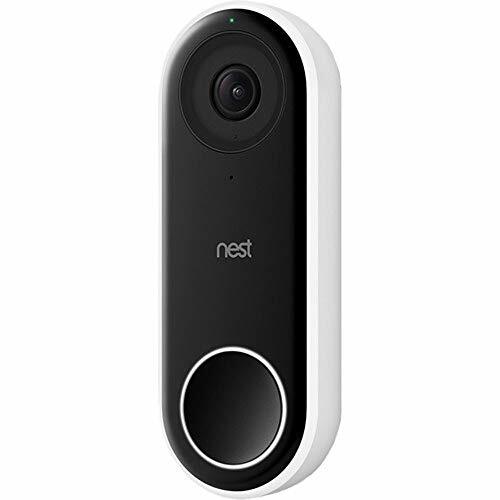 Nest x Yale Lock (DOES NOT WORK WITH ALEXA)- The Nest x Yale lock does not currently work with Alexa nest commands but it does work with Google Home Voice Commands and you can learn how to set up google home to control your Nest x Yale lock with voice in another post. The Nest X Yale smart lock allows you to control your lock with your phone. You can use unlock or lock your door from your phone or provide guests with their own temporary code to have access to your home. The Nest x Yale smart lock has a touch screen on the front that allows for quick easy access using your access code. Nest Secure Security System (DOES NOT WORK WITH ALEXA)- The Nest Security System does not currently work with Alexa. The nest secure system offers smart home security and works within the nest app with all of your other nest devices. The nest security system consists of a base station that connects to your wifi network, and then motion and window and door sensors you place throughout your house to detect motion or if someone is trying to break in a window or door. Related Post: How To Connect Ring Security System With Alexa. Each compatible Nest device has a different set of Alexa nest voice commands that can be used with the your compatible Amazon Echo device for voice control. If you don’t have an Amazon Alexa Echo device you can still use Alexa nest commands on your phone or tablet with the Amazon Alexa app and you don’t need an Echo device, however having an Echo device like the Echo Dot or Echo Show does make the user experience better because you don’t need to be near your phone to use voice commands. We walk you through the steps to connect your nest thermostat to Alexa. The procedure for connecting your Nest doorbell or Nest Camera to Alexa is similar is slightly different. We guide you through how to connect your Nest Thermostat, Camera or Doorbell to Alexa. Install, setup and connect your Nest Thermostat to the Nest app through your phone. If you have not already install and setup your Amazon Echo or Alexa account through the Amazon Alexa app on your phone. With the Alexa App setup click on the menu in the upper left hand corner of the app. Enter your sign in information for the Nest App. Install, setup and connect your Nest Camera or Nest Doorbell the Nest app through your phone. You can control all of the current versions of the Nest Thermostat and the older Nest Thermostat Generation 2 with your Alexa nest commands. With your Alexa nest voice commands you can change the Nest Thermostat Temperature, change thermostat modes and ask what temperature the Nest thermostat is currently set at. 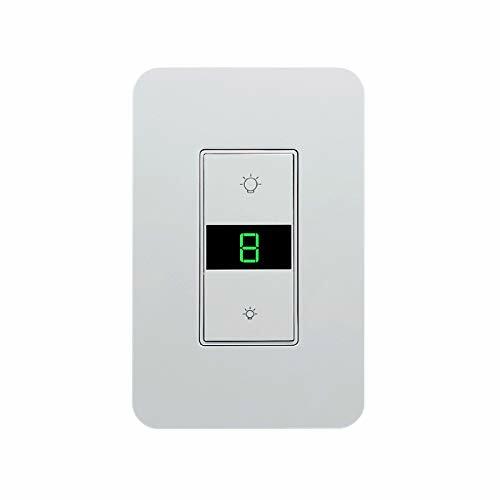 It’s great to use voice commands every morning and night to adjust the temperature of my thermostat when I wake up or prepare to go to sleep. “Alexa, set thermostat to 72 degrees” - Set’s the nest thermostat to the desired temperature. “Alexa, set thermostat to heating mode” - Set’s the nest thermostat to heat mode. “Alexa, set thermostat to cooling mode” - Set’s the nest thermostat to cooling mode. “Alexa, set thermostat to eco mode” - Set’s the nest thermostat to eco mode. “Alexa, set thermostat to away” - Set’s the nest thermostat to away mode. “Alexa, set thermostat to home” - Set’s the nest thermostat to home Mode. “Alexa, what is the thermostat temperature?” - Alexa will respond with the current temperature of the nest thermostat. If you have more than one thermostat you will need to call your thermostat by the name you set for it in the nest app. You can also use the name you set for the nest thermostat in the app instead of saying “thermostat” if you prefer. Alternate Alexa nest thermostat commands should be spoken in the form below. The nest thermostat gen e and nest thermostat generation 3 are also both compatible with the nest temperature sensors that allow you to remotely monitor and control the temperature in other rooms further away from your nest smart thermostat. I use a temperature sensor in our master bedroom so I can see how hot or cold it is before we go to bed. I sleep better as most people do if it’s a little colder in the master bedroom before going to sleep. There are even studies that sleeping a colder room not only helps you sleep better but it can help slow down the aging process. Most houses don’t heat and cool every room evenly and there are only so many adjustments you can do to your vent registers to get the temperature to the range your comfortable in. The nest temperature sensor doesn’t completely solve the uneven heating problem in most houses but it will allow you to control the temperature more precisely in certain rooms and be aware of differing temperatures within your house. All of the nest devices we have covered so far will work with any Alexa device for Alexa nest commands. But you can also stream video from the nest cameras and the nest hello on the Amazon Echo Show & Echo Spot devices. You can stream nest video from any of the nest cameras including the nest cam, nest outdoor, nest IQ cameras and the nest hello smart video doorbell. 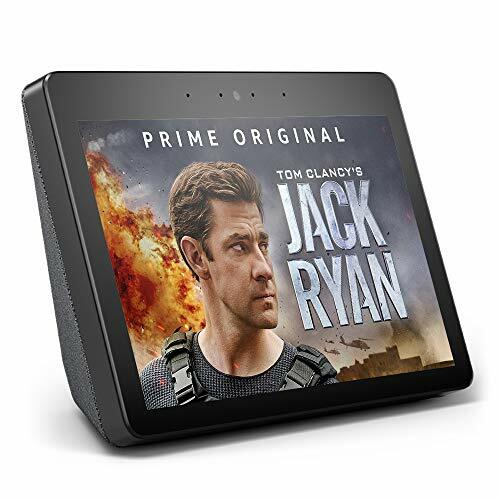 The Echo Show is the best device for streaming video as is has a 10” screen that makes it easy to see what is on camera. The Echo spot will stream the video and sound, but it does not currently enable two way communication through the hub. There are no smart home hub speakers on the market that allow two way communication with nest cameras, the Google Home hub also streams sound and video but does not allow for two way communication. If you wan’t two way communication with your nest smart camera or doorbell you will need to use your phone or compatible tablet. Related Post: How to set up your nest cameras with Alexa. "Alexa, show me my backyard camera.” - This will live stream the nest video feed and sound to your Echo Show or Echo Spot. “Ok Google, show me [nest camera name]” - This will live stream the the nest camera feed to your Echo Show or Echo Spot. “Alexa, show me [nest camera name]” - This will live stream the the nest camera feed to your Echo Show or Echo Spot. "Alexa, show me my front door.” - This will live stream the nest video feed and sound to your Alexa Show or Alexa Spot. “Alexa, show me [nest hello doorbell name]” - This will live stream the the nest camera feed to your Echo Show or Echo Spot. Do the Nest Temperature Sensors Work With Alexa Nest Commands? No, as of November 2018 the nest temperature sensors don’t work with Alexa Nest Commands. However the nest temperature sensors do work to display remote temperature on the nest app with both the nest thermostat e and nest thermostat. The nest protect smoke detectors don’t work with Alexa Nest Commands. However if you want your smoke detectors to be connected to Alexa and work with Alexa there is an option to have an Alexa controlled smoke detector. The smart onelink first alert smoke detector has Alexa built in. With Alexa commands you can control your heating and cooling, your front door, your security system and you’re cameras. If you have plug in lamps or fans you can also control them with Alexa voice commands. 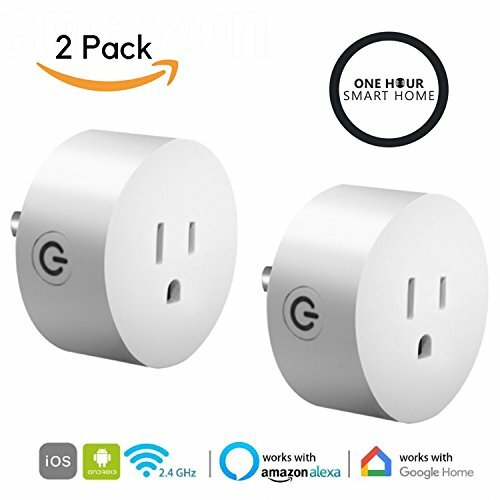 Plug in smart plugs are one of the most popular smart devices on the market because of their ease of installation and versatility. What TV’s work with Alexa? How to set up your nest lock to work with voice. Does nest hello work with alexa? How to set up your google home with nest hello. How to connect nest thermostat to Alexa.